Making messes is an important kid job in our house. My kids love to dump out toys, mix play-dough colors together and cover the table with their creations, drive matchbox cars all over the house, and pull out every single LEGO when they are looking for their favorite minifigure. We love creating, but at some point we do have to clean up. Today I’m going to share three easy ideas we like to use to get kids cleaning up with less frustration... plus a few free printables to help. Cleaning up is hard sometimes. I am a creative person and when I get in a creative mood I can start making things and taking things out before I know it our kitchen is a disaster! My kids get in similar creative moods when they are playing with LEGO or when they are doing imaginative play and get all their dress ups out. Sometimes at the end of quiet time it looks like a bomb went off in their bedrooms or our playroom. We typically try and clean up during part of the day when kids have just had a snack and aren't too exhausted or grumpy. When we wait until the end of the day we usually get some frustrated kids! I am a big believer in teaching kids early to help out and clean up. My toddler loves to clean up but my preschooler and first grader can easily get overwhelmed with their messes and then they get frustrated! Here are three simple ways that we've made clean up time less frustrating!! 1. Make it a dance party and turn up the music! When it is time to clean up I will bring my phone or some sort of sound system into the kid's rooms or playroom and we will turn up our favorite music. Our Disney playlist on iTunes radio is always a hit. It is amazing how much easier and fun it is to clean up when we have music going that we all like. I don't just turn on the music and leave the kids alone to clean. I am also a big believer in working together so I will join them and have them give me a clean up job. They are the clean up supervisors and I am their helper. Knowing that they don't have to clean up the whole room themselves also makes them feel a little less frustrated. Often the room isn't very messy to me (and I know it could get picked up in five minutes) but to them it looks SO MESSY and hard. Working together while rocking out to music is such a fun way to make memories and get our house back in order! Cleaning up doesn't have to be boring! These clean up charts took me some work to make but I am including the free printables in this post so that you don't have to do the work! This is such a visual way to help kids clean up. On one side of the chart you stick images of what the kids need "TO DO" (clean up) and once they are done they move the images to the "DONE" side. You can only put two items on the to do list for littler kids or a few more for bigger kids. Kids just LOVE moving the pictures to the DONE side once they have finished their jobs. I actually want to make a version for ME! I love checking things off a visual to do list. To make our chart we used our new HP Officejet Pro Inkjet Printer and HP Instant Ink. HP Instant Ink is an ink replacement service. When my ink is running low HP Instant Ink will ship new ink straight to my door. As a busy mom the last thing I want to worry about is going to print something (like my clean up charts) and realizing there is no ink! HP Ink makes sure my ink is always ready when I need it. To get started with making your own TO DO/DONE chart you can click on the links below to download my pdf files. You'll want to print the images onto white cardstock. 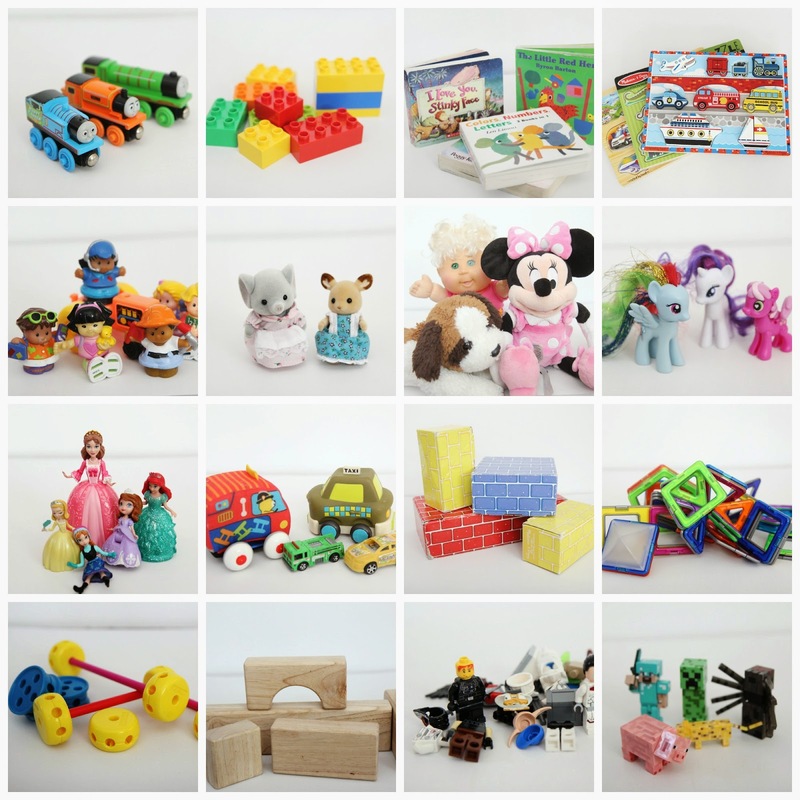 These toy images feature the biggest toy offenders at our house when it is time for clean up time! I have included images that just have pictures and images with text labels as well. Feel free to pass along toys that you'd like me to add to my printable cards and I'll see if I can add them when I get a second. To make your clean up chart you'll want to print out the images onto cardstock and then cut out the toy images. You can either cut them out as squares or use a circle punch like I did and make them round. Next you'll want to laminate everything and then add velcro to the chart and to the backs of the toy pieces so that they can stick together. Once your pieces are all set up you are ready to start cleaning! My kids like this so much they are BEGGING for me to make messes so that they can clean them up! We went through my kid's rooms and our playroom and made a clean up chart for each room. We made little boxes next to each toy or item that needed to get cleaned up and then we laminated the charts! 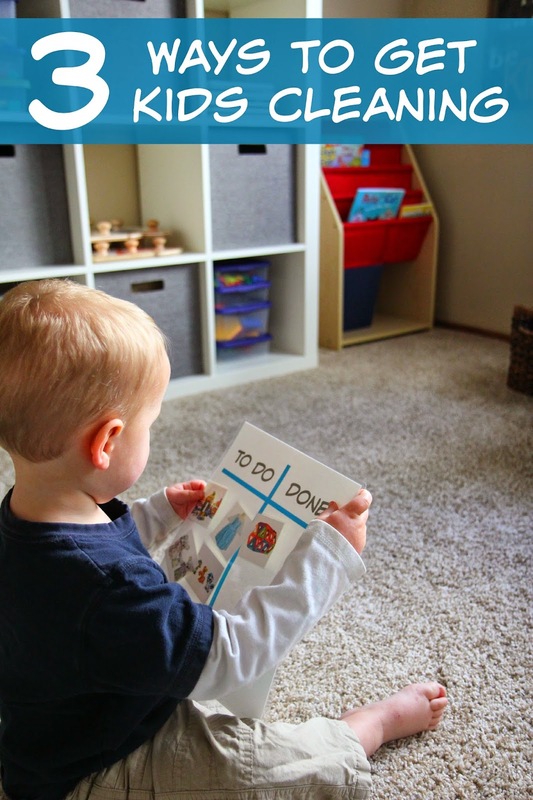 When it is time for clean up I give each of my kids a white board marker and they love looking at their charts, picking up a few things, checking them off and then moving on to the next items. When their charts are all checked off then we get to go and do something fun together as a family! Clean up frustration has been significantly reduced with these visual helps! Breaking down the clean up tasks into simple steps has made clean up time feel less overwhelming. I don't use both of these charts every day. I like to rotate using them so that the kids don't get bored of them. I also use some other favorite clean up strategies like our scratch off chore cards and four in a row cleaning game. Along with these clean up charts we are really excited to be trying out the HP Instant Ink program and sharing about it with you. Often when I am midway through a printing project I discover that our ink is changing color and running low. It is so frustrating! Especially on a day when the kids are really excited about a project or we have something special we need to print. The HP Instant Ink program works with eligible HP printers and can even help you save money on ink. It also is a great idea for busy moms who don't have time run to the computer store every time the ink is out. Sign up is quick and super easy once you have your printer connected and registered and you can change or cancel your plan anytime online. You can find out more about the HP Instant Ink program HERE. Do you ever run out of ink in the middle of printing and get super frustrated like me? Do you have kids that might benefit from our clean up tips or our cool clean up printables? Do you have any tips you can share with us? What toys make the most mess in your house? Come stop by our Facebook page and tell us all about it or take a moment to comment on this blog post. I'd love to hear your tips to help reduce clean up time frustration! It's very important in my opinion to teach kids some things when they're still young. Cleaning after they do something is not so hard. Making a game out of it is probably the easiest way to do that. Thank you for the great article. ~ North Harrow Carpet Cleaners Ltd. If you get frustrated, take a break. And then take a break from your kids. It’s okay to turn on a TV show or a movie and let the kids watch while you re-group and re-focus. Or eat lunch. If you need a break from your kids, take it. If you don’t, you’ll get more frustrated and they will get more whiny and be much less helpful. And eat a little chocolate while you’re at it. Very interesting post! I thought that it is really impossible to get the kids actually helping but I guess that with the right approach everything is possible! Very useful ideas! Thank you!